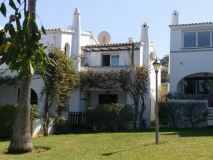 Spain4u is an Independent Estate Agency that specializes in all types of Spanish Property Sales from New builds, Apartments, Townhouses, Rustic Fincas & Villas - whether it be for all year living, investment or as a holiday home. As an established and experienced company, with a dedicated professional and motivated team, we use our vast knowledge to provide you with a first class and personal service. Whatever your property requirements, valuation, rental or purchase, be sure to contact us. The areas that we cover are from the Northern Costa Blanca region, within a 20 miles radius of the port town of Denia in the Alicante Province; The South Costa Blanca, Costa Calida, Mar Menor & Inland Murcia. In the Costa Blanca North region we have an established Rental Department and can also offer the option to “Try before your buy”. 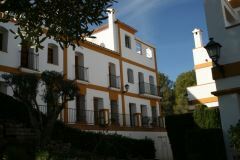 In June of 2011 “Residential La Sella” nestled next to the Montgó National Park of Denia and La Sella Golf Resort, has been incorporated into the Spain4u business. We also offer Independent Mortgage Advice for both Spanish and UK mortgages, as well as Foreign Currency Exchange, including regular Monthly Transfers, Medical Cover and both Buildings & Contents Insurance. For a free appraisal of your home why not get in touch? We look forward to meeting you, just complete the “Contact us Enquiry Form” or register on our website’s “Mailing List” and please feel free to add any additional or special requirements in the 'Message' box...we're here to help. We are accredited members of the NAEA (overseas) the UK's leading professional body for estate agents.